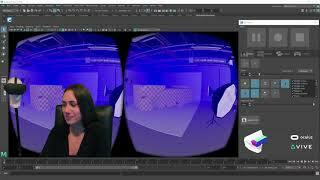 VR-Plugin enables the VR device to work as your stereoscopic camera in Maya. Create Virtual Reality and use the software for presentations, previs, set design, camera work including live stereoscopic camera adjustments and recording. The software is used by artists who use Maya to explore 3D worlds the way they would do in reality. Use the provided installer and follow the steps described in the provided InstallShield Setup. Uninstall previous version from control panel before installing the new one. After the installation you can find the VR-Plugin Manual.pdf on your desktop and in your userdata/maya folder. After installing the software you have a grace period of 30 days to register the plugin via email. VR-Plugin will provide you with the serial number at startup while you are in grace period. During that time, send us your HMD serial number with customer and payment information to unlock your license.